A Collection of Unix Sysadmin Test Questions and Answers — Want to test your Unix sysadmin skills for an interview or just for fun? This collection of questions and answers should keep you entertained. (Note: The quality does vary and about a quarter are “To be completed.”). An OAuth 2.0 Introduction for Beginners — Goes into more depth than you’d think, complete with diagrams explaining the flows involved. 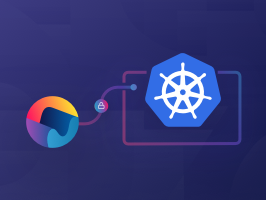 Add Services Like Logging, Mail, and Search to Kubernetes ⚡️ — Manifold’s Kubernetes integration enables simple delivery of secrets and config directly to your cluster's applications. Amazon Lightsail Adds More Instance Sizes and Price Reductions — Amazon Lightsail is AWS’s often forgotten service that provides VPS-style access to EC2 instances and is an easy way to get started in the AWS ecosystem. ▶ The Myth of Cloud Agnosticism: A Discussion — Last week I listened to this podcast episode randomly and it was a really neat discussion about several web operations issues including cloud agnosticism and reliable data storage in the cloud. Recommended. Ballerina: A 'Cloud Native' Programming Language — Ballerina makes it easy to create resilient services that integrate and orchestrate transactions across distributed endpoints. The New Stack has a writeup / summary of what it entails. The Hitchhiker's Guide to AWS Step Functions — All you need to know about AWS Step Functions, the spiritual successor to the not-so-simple-to-use Simple Workflow (SWF) service. If you have complicated or long running serverless workflows, Step Functions could help you manage them. When to Use What: REST, GraphQL, Webhooks, and gRPC — Real world, specific use cases for REST, GraphQL, gRPC, and Webhooks to help API developers make sense of which to use for what situation. A Look at Real World SSD Wearout — Certain database setups or poor queries can put undue stress on SSDs. From Big Data to Micro-Services: How to Serve Spark-Trained Models Through AWS Lambdas — A quick and Pythonic way to power endpoints with pre-trained Spark models. African Traffic Growth and Predictions for the Future — Internet use is growing rapidly in Africa and Cloudflare has done some analysis of Africa’s connectivity and where African sites are hosted. BuzzFeed Open Sources Its 'sso' Authentication Proxy — It’s how they secure access to internal services at BuzzFeed and is written in Go(lang). NGINX 1.15.3 Released — TLSv1.3 can now be used with BoringSSL, Google’s OpenSSL fork. You can also use keepalive_timeout and keepalive_requests directives in upstream blocks.